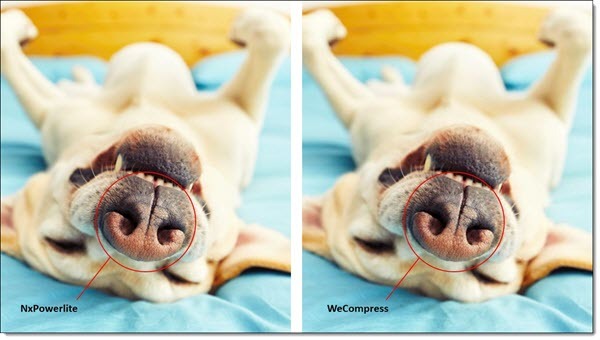 The guys at Neuxpower recently invited us to beta test a new online compression tool called WeCompress. We found using this online tool is simple, easy and provides impressive results on par with the desktop version of NXPowerlite (review of NXPowerlite here). And the good news is, wecompress is now publicly available for use! Our first test was optimizing this high-res .jpg image. 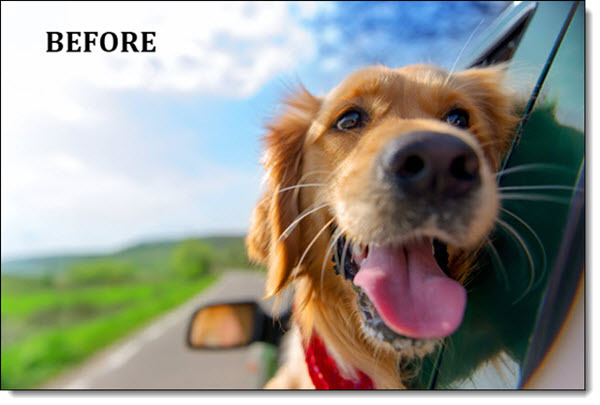 WeCompress reduced the file size by 4MB and maintained image quality (for use on a 1920×1080 monitor). To use, go to WeCompress and just drag and drop your file to get started. The upload and download time is dependent on your internet connection, but the actual compression/processing time was on par with the desktop NXPowerlite processing (eg. fast). WeCompress has a clean online app design and it’s easy to use. But it does lack a few things in comparison to the desktop NXPowerlite app. The biggest difference is the ability to customize settings. For example, TLC Creative’s standard compression is custom settings optimized for 1920×1080 HD display. Other areas custom compression settings are important to us are when working on 4-6-8K output files (although the desktop version is currently limited to a 3480x2160px resolution base). For comparison, here is our 10 slide sample deck which we optimized with WeCompress, NXPowerlite’s default compression setting, and our “TLC” custom NXPowerlite compression settings. The original file, with purposefully oversize images, is 14.9 MB. Running the file through WeCompress adjusted the file to a helpful 642 KB (and maintained good image quality, but a bit lower than we really want). NXPowerlite (Windows v7.1.5) using its default PRINT compression gave us a 4.68 MB file (and image quality we approved of). Optimizing with our “TLC” custom compression setting (1920×1080, JPG quality 9) gave us a 3.39 MB file (and image quality we approved of). We then tested with another test file. We optimized a 10 slide PowerPoint file with close up, detailed high res images. Using NXPowerlite with our TLC HD compression settings, the file went from 16.8MB to 3.76MB, with image detail quality that met our standards. Uploading the same file to WeCompress reduced the file a lot – down to 674 KB! But image quality was below our standards (Note: compressing same file with NXPowerlite’s SCREEN default was comparable, creating a 1.15 MB file – a default setting we never use). Aside from WeCompress’ limitations, the two tools have similar compression speeds and results. But WeCompress is FREE and does not require any install permissions. Neuxpower’s NXPowerlite has been the TLC Creative Services go-to compression solution for several years and we definitely recommend booking their new WeCompress online option to add to your toolbox.